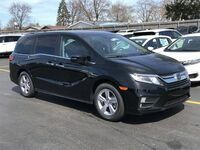 Though many automakers have turned away from the minivan in favor of the growing popularity of the SUV, two of the big brands understand that for many, nothing beats its family-friendly construction and features. 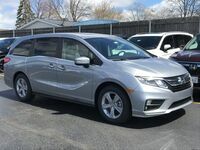 Arguably the two most popular minivans on the market today, the 2019 Honda Odyssey and the 2018 Toyota Sienna are both great picks for families looking for a spacious vehicle that can carry the whole family and then some. But which one is right for you? 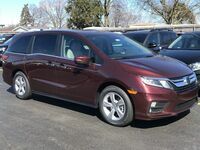 To help shoppers decide which of these impressive family vehicles is the right choice for them, we’ve put together a comparison of the 2019 Honda Odyssey vs the 2018 Toyota Sienna to help you see which model offers the specs and features you’re looking for in your next vehicle. 32.8 ft3, 144.9 ft3 max. Cargo Space 39.1 ft3, 150 ft3 max. 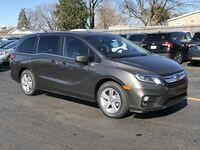 Of course, you can’t go wrong with either of these impressive models but depending on what you’re looking for in your family vehicle, one will likely suit you better. 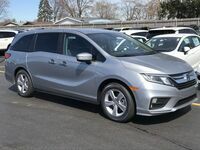 For example, while the Honda Odyssey offers more legroom for taller passengers, the Toyota Sienna makes up for it by offering more cargo space for carrying extra gear or the family pet. 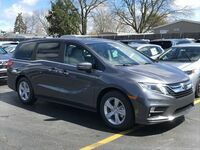 The Sienna also features a more powerful drive than the Odyssey, providing faster acceleration, however the Odyssey is able to achieve slightly better fuel economy on the highway. Whichever model you choose, you can find it here at Continental Motors! 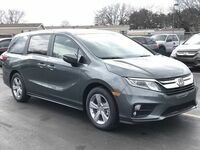 We have a wide variety of both models available for you to choose from, just take a moment to browse our inventory to find the model that best suits you. From there, simply fill out a form on this page, or give us a call at Continental Honda or Continental Toyota. We’ll be happy to help you get behind the wheel of the vehicle that’s right for you.